With major events like the Maluti Double90, PPA enjoys giving back to the local community. 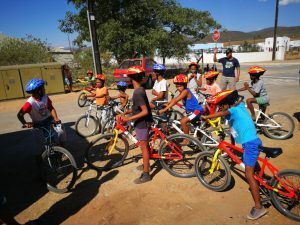 As such, PPA is committed to donate entry-level mountain bicycles, helmets and cycling jerseys to the community. In 2018 PPA initiated the “raise one, match one” concept which will again be implented in 2019. 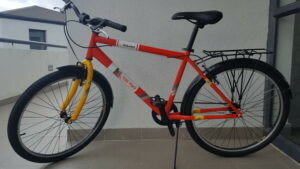 Our Bike4All bicycles are worth R2000 each and include a helmet and high-visibility bib. 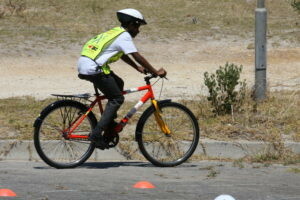 If a team raises the funds (R2000) for one bicycle, PPA will match that with another bicycle. So if your team has for example 12 team members, each member only needs to contribute R167 towards the initiative for a bicycle to be donated. Even if your team cannot raise the funds for a full bicycle, all contributions will be gladly welcomed and your team’s funding will be added to another team’s contributions, which will again be matched. In 2018 one team managed to raise funds for 2 bicycles and PPA matched the two to make a donation of 4 bicycles. These bicycles were donated to community members nominated by the locals. In keeping with PPA’s aim of ‘giving back to the community’, marshals are sourced from the service organisations like Rotary and Round Table in Bethlehem, assisting them to raise funds for their various charities. Similarly, food for water points will be provided by the Clarens Community Forum, to raise funds for their various community initiatives.